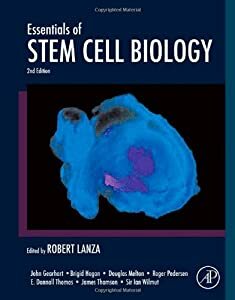 Stem Cell Treatment Helps Spinal Cord Injury | "Latest Stem Cells News"
Due to the wonders of Adult Stem Cell treatment, yet another spinal cord injury patient has improved his quality of life. A young man in India who had lost all sensations from a car accident has been helped after receiving his own Adult Stem Cells and having them injected into his spinal cord where the injury occurred (C3-c4). Dr. K Eliyas Basha of Salem Manipal Hospital in India was the stem cell doctor responsible for this success story. He contacted various stem cell treatment centers around the world and exchanged ideas and techniques. “We have been screening and interacting with stem cell centres around the world to know further details regarding stem cell therapy directly at the C3- C4 cervical cord injury. The whole procedure was thoroughly studied and scrutinized by various committees of Manipal health systems,” Dr. Basha said. While obviously not a cure, this stem cell therapy and treatment has helped improve this young man’s life. That is what Adult Stem Cells do- they repair damage and improve lives with no side effects. What if we gave every spinal cord injury patient in the United States this stem cell treatment using their own repair stem cells? Don’t you think that would help improve thousands of lives? I do. We have enough proof- it is safe and helps in most cases. Let’s make Adult Stem Cells available for treatment now!